Brexit not the Issue - Non-ideological Development Policies are, Yannis! Sorry Yannis, you are not right this time! Yannis #Varoufakis, who I personally admire for his steadfastness in the EU's dealing with the Greek Debt Crisis, is organizing against the Brexit of the UK by arguing that the Brexit is an "Empire Era" trick of the ruling elite in Britain, who wants to use the Brexit to gain control over the majority of the people in the UK. I don't know what happened to Yannis, but considering his experiences in dealing with the EU during the greek debt crisis, he should be utterly aware that the whole EU and its financial dictatorship is a construct designed by this very British City of London elite in order to ease capital flow and speculation by removing the legal boundaries, which previously prevented most of these fallacies by national jurisdiction. All the problems with financial speculation, the monstrous outstanding derivative debts, the financial dictatorship of putting this burden on the backs of the ordinary people by cuts and austerity, the increasing attempts of fraudulently covering up these issues and therefore leaving all these problems with our future generations, were created among other instances, with the introduction of the European Union and its legal excesses of stripping sovereignty of every member state, especially from those nations which fell into the debt trap due to the general dominance of a British Free Trade Doctrine still being based on Adam Smiths Buy cheap and sell dear mentality. The European Union also would have entered the ongoing collapse process, to which todays migrant crisis merely is a catalyst, in any case. Cameron put the Brexit Topic on the table already some time ago as a diplomatic lever against German Hegemony in the EU and this by a time, when the migrant crisis was not yet as imminent as it is today. Indeed the Divide-and-Rule Tactics by the empire of playing Britains poor against the migrants is existing. It is used as a tool to distract from all the original problems that they introduced along with the EU Dictatorship. The EU will collapse under the present framework of globalisation and any attempt to fix it by measures out of the toolbox of the current system will not work. No one should know this better than Yannis. 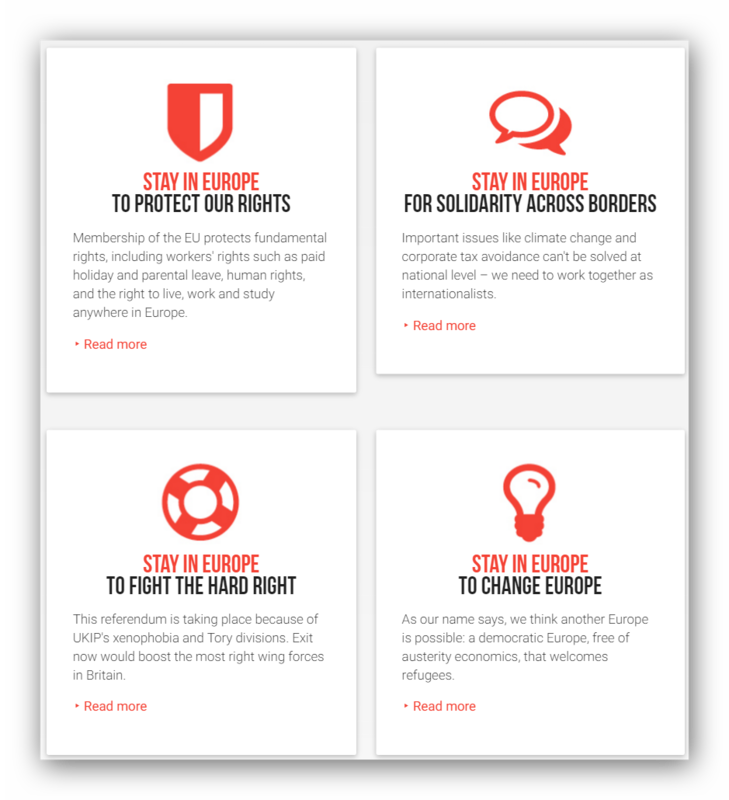 The so-called Another Europe is possible campaign, which Yannis is actively involved in, hinges on four anchor points, which are depicted in the attached image below, which was taken from the anothereurope.org Website. These 4 points sound nice, but looking at them more closely, they are in a way symptomatic for the intellectual weakness the European Left is infected with today. Within the framework of the EU of today, which is a political construct largely dominated by the Anglo-American oligarchy, a system, which is desperately clinging on to power by corruption and the maintenance of an excessive illegitimate speculative debt burden, which they deem assets, by means of cuts and austerity, it is not possible to make radical changes for the better, by maintaining the very construct, which made these fallacies possible in the 1st place. What the Rights of people are worth can be seen clearly in France today, where the system requires of the people, to give up achievements, for which it took about 100 years to be accomplished, in one stroke. This will not radically change unless the entire system, the entire oligarchical construct of the EU and its logic of central dominance over Nations is thoroughly dislodged and replaced by putting it on a footing of a community of peaceful and cooperative interaction between perfectly sovereign European Nation States. The rights of the people are best protected, by making sure that the looming debt burden and the imminent ongoing collapse of the transatlantic financial system is not put on the backs of the ordinary people, who have done nothing wrong and who did not amass this financial speculative debt burden. This can only be done by the immediate application of the Glass-Steagall-Principle in the politics of all European Nations, which needs to be accompanied by large state-funded investments in modern connecting infrastructural projects, which provide a real unifying mission to all European and Eurasian Nations. It is largely a lack of a proper unifying mission for the realistic improvement of the future of all European and Eurasian Nations, which is part of the problem. And this is what the European Left does not understand. The Left populistically solely hinges its policies on the Refugee Welcome rhetoric, which will solve nothing by itself, because it does not recognize the true origins of the refugee crisis, which has largely to do with the US and NATOS struggle for World Hegemony in light of the ongoing economic collapse process of the transatlantic region. By making this Refugee Welcome narrative a main theme of its policies, the Left denies the fact, that these people, who are fleeing their country because of the Wests and NATOS meddling in the internal affairs of sovereign countries in the Middle East, would in fact much more prefer to stay in their countries, if these countries had been left in peace and if they had not been pushed into war by NATO and the Wests strategic manoeuvers of destabilization. The Left does not offer any realistic solution whatsoever other than just phrases, to realize an economic healing of these war-stricken regions in the Middle-East and North-Africa, which would enable the refugees to exercise their Number One preferred option of being able to go home again in their countries and enjoy a prospect of a future in peace and relative prosperity. These goals are not achieved by a one-sided Refugees Welcome narrative, but require active and constructive policy proposals of inducing physical economic growth in these troubled regions, something the Left is intellectually incapable of producing at the moment, because their eyes are blinded by monetaristic solutions and their mere focus on achieving ideological supremacy. The NATO-Aggression against the Middle-East, Russia and China is only addressed loud and clear by the only charismatic left politician in Germanys Die LINKE, Sarah Wagenknecht. For her upstream standing against the usual trivialized Refugees Welcome rhetoric, she faces harsh criticism from her own party ranks and was even viciously and physically attacked by members of the lefts radical wing Antifa during their party convention in Magdeburg last weekend. This in itself is evidence of a significant degree of incapacity of the party leadership. The Left in general is also not capable of addressing physically-economic problems by calling for economic solutions, which find their resemblance not only in purely moralistic reasonings, but also in applying universal physical principles. The improvement of the conditions of a human society in forthcoming generations rests on qualitative and thereby also quantitative economic growth. This is principle and no green argument can realistically dislodge that. The economic policies of the Lefts is based on the idea that economic justice is solely achieved by redistributing wealth in a green society and somehow they seem to take for granted that the domains of human creativity, the sole source for societal wealth, is being maintained completely by itself without necessary promoting policies of growth. The Left is today greener than the greens themselves and this is not at all healthy. It is certainly good to call open all the things going wrong today, from global NATO-Aggression to the utter societal injustices taking place in Europe and the world, but the solution is not found in purely moral admonitions, but in applying concrete graspable policies in accordance with universal physical-economic principles serving the purposes of a growing humanity in the world. The best example which one can give for a concrete policy is the New Silk-Road-Project with all its extensions in Eurasia, a connecting development project driven by China and the associated BRICS Nations. Unfortunately, nothing is said in all the speeches and utterances of the recent past by the Left Leaders of Europe about such a beautiful perspective. 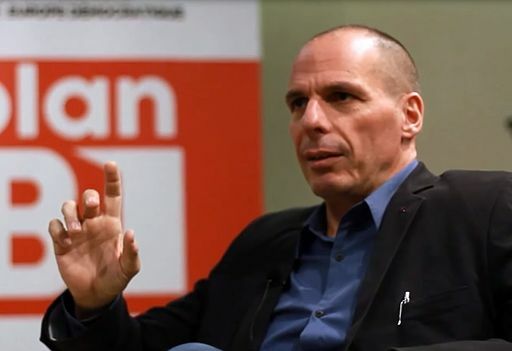 Yannis Varoufakis claims, that the Brexit is a trick by the British Elites to maintain dominance over Britain, but I am afraid he does not realize, that he and his new Left Movement emerging in Europe are only part of this Trick, this Divide-And-Rule Strategy to again split whole Europe up into Left and Right, based on merely ideological premises, as was done already at the dawn of the 2nd World War. The people don't want a new Bipolar World, where we find a new worldwide Fascist Movement on one Side and a new COMINTERN on the other! Think about it!